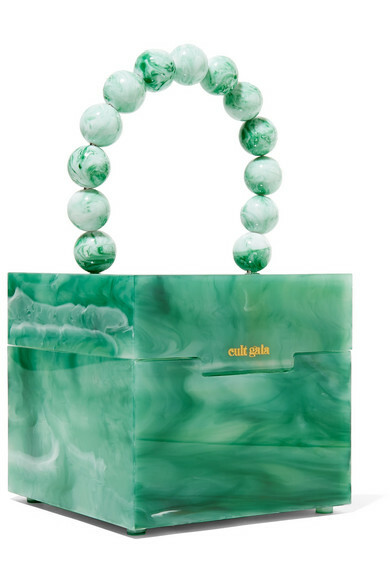 PorterEdit recently described this season's must-have sculptural bag as 'modern art' - meaning styles like Cult Gaia's 'Eos' tote will look just as good in the crook of your arm as it will displayed on your vanity when not in use. 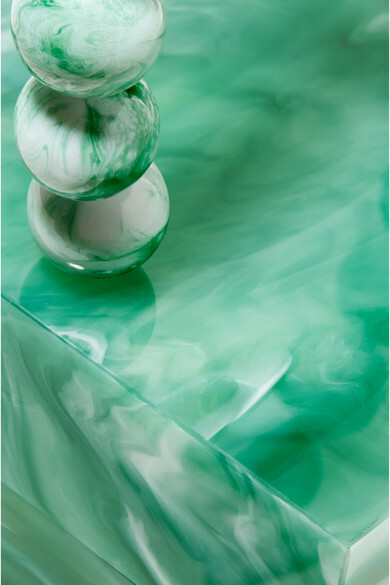 It's made from marbled tonal-green acrylic in a compact box shape and has a beaded top handle. 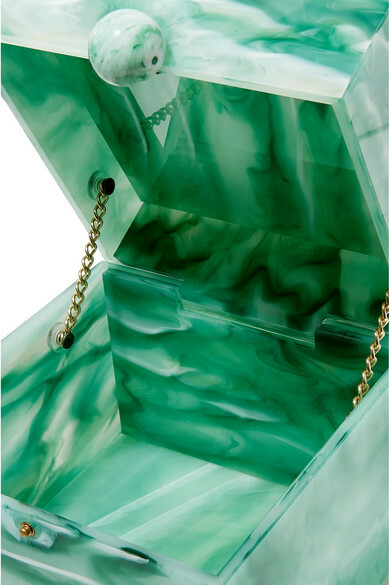 There's just enough room inside for your phone, cardholder and lipstick. Shown here with: Johanna Ortiz Dress, Jacquemus Sandals, Chan Luu Cuff, Alighieri Necklace, Alighieri Necklace.